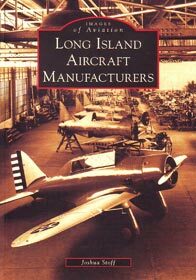 Significant aircraft manufacturing began on Long Island in the early 20th century and boomed during the war years. Long Islanders helped transform aviation from a dangerous sport to a viable means of transportation, while also producing a large portion of the nation’s aerial arsenal at times of war. From the first frail biplanes to the warbirds of World War II and the sleek fighters of the jet age, aviation companies on Long Island helped make aviation the integral part of our world that it is today. During the 20th century, over70 firms came to build aircraft on Long Island. Some of these firms lasted for decades and became famed builders of historic aircraft, such as Grumman, Republic, Curtiss, Fairchild, and Sikorsky.